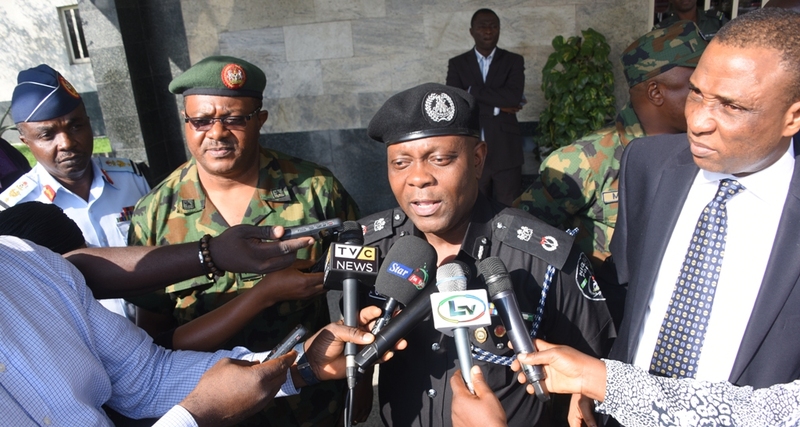 Lagos State Commissioner of Police, Mr. Imohimi Edgal (2nd right), briefing Government House Correspondents shortly after the State Security Council meeting presided over by Governor Akinwunmi Ambode at the Lagos House, Ikeja, on Wednesday, September 20, 2017. With him are Secretary to the State Government, Mr. Tunji Bello (right); Commander, 9 Brigade, Nigerian Army, Ikeja Cantonment, Brig. Gen. Elias Attu (2nd left) and Commander, Nigeria Air Force Base, Ikeja, Air Commodore Musbau Olatunji (left). 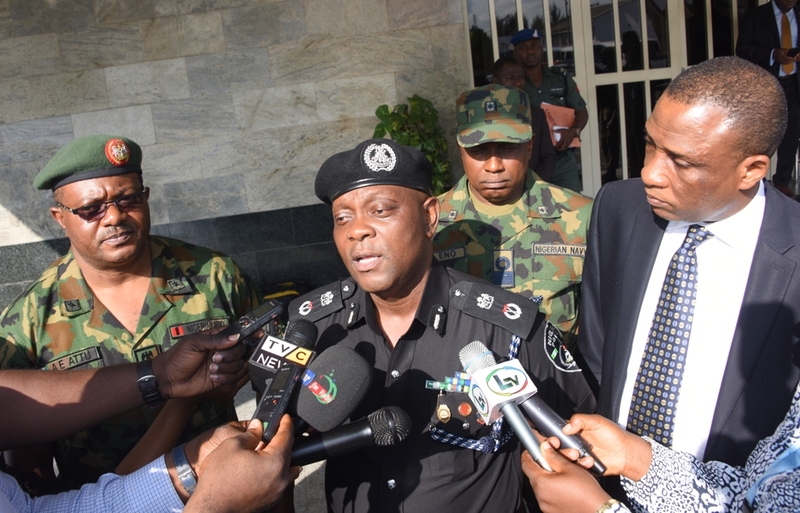 Lagos State Commissioner of Police, Mr. Imohimi Edgal (middle), flanked by Secretary to the State Government, Mr. Tunji Bello (right); Commander, 9 Brigade, Nigerian Army, Ikeja Cantonment, Brig. Gen. Elias Attu (left) and Commander, NNS Beecroft, Nigerian Navy, Commodore Morris Ansa Eno (right behind), addresses Government House Correspondents shortly after the State Security Council meeting presided over by Governor Akinwunmi Ambode at the Lagos House, Ikeja, on Wednesday, September 20, 2017.